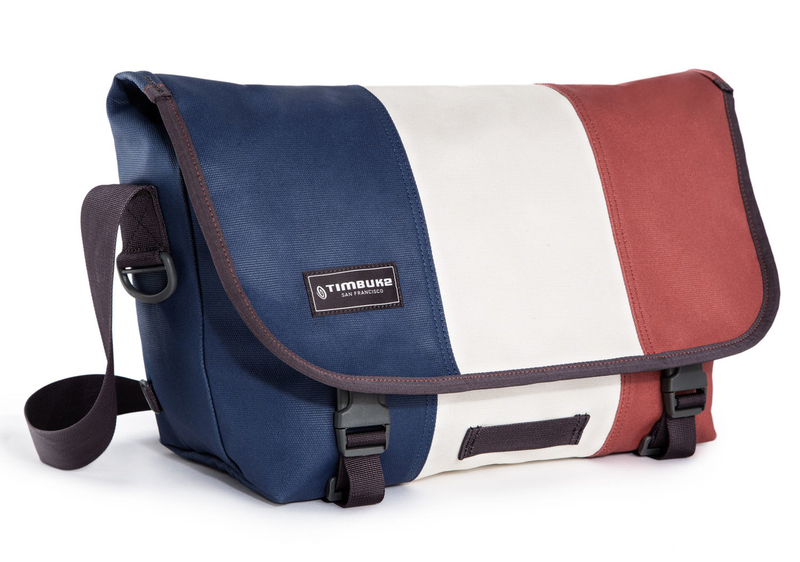 The Timbuk2 Classic Messenger Bag is an interesting bag for sure. This particular version comes with a lot of features that I absolutely love and a few minor things that I would change but all in all a solid product to consider if you’re looking for a messenger bag. I’m confident that this bag is good for many different uses and just about anyone could see the practicality of using one of these classic messenger bags. Whether it is for school, work, daily commutes or carrying items for a hobby, this might be the best classic messenger bag on the market. Timbuk2 messenger bags have style and lots of it. One of their highly sought after and best messenger bags, the Timbuk2 Classic messenger bag, comes in a variety of colors and patterns to satisfy just about everyone. This product line comes in with an impressive 45 different designs to choose from as well as four different sizes; extra small, small, medium and large. Are you a Vet, active member or just a supporter of the Army? Then you might find the ‘Army Dip’ design to be the top classic messenger bag for you. Looking for another way to show your patriotism? Check out the ‘Pennant’ style, as it comes in a red, white and blue design. 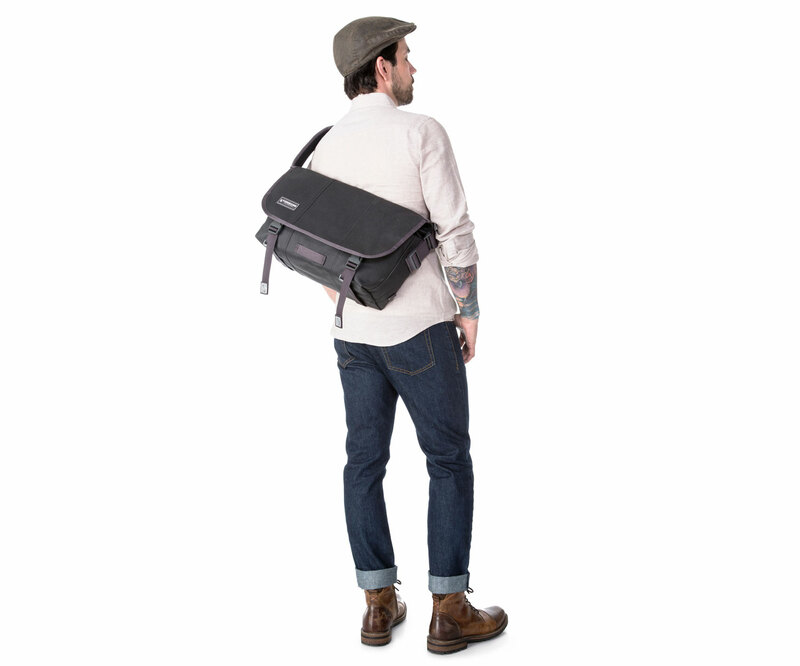 One of the features that I love best about the Timbuk2 Classic messenger bag, in terms of style, is that it comes with an adjustable shoulder strap. That way I can adjust it to a height that works well with my stature. I prefer to have my classic messenger bags ride a little higher and with the bag fully extended it sits around the middle of my waist. For reference, I’m 6’1. I know that may be too high for some but it’s all a matter of preference. 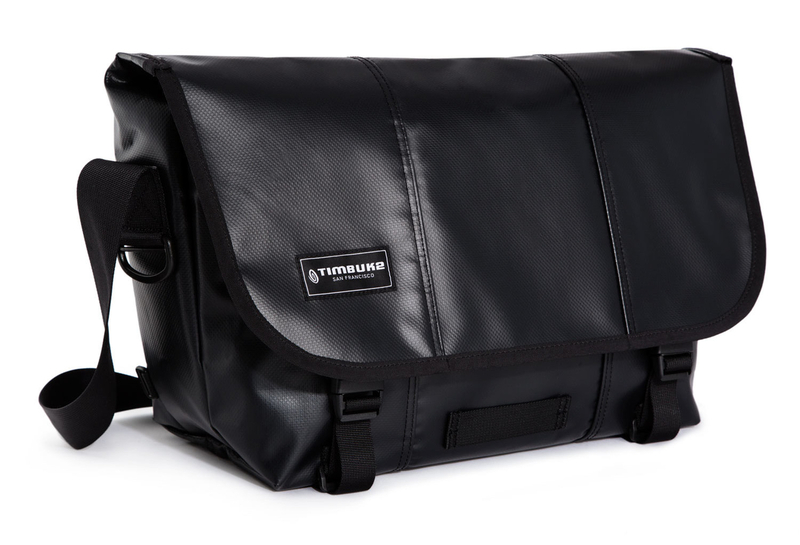 When I reviewed this classic messenger bag by Timbuk2, I received the medium size. It looks great when I was carrying it around town. I think even the small classic messenger bag would have looked good as well, however, I’m a little too big for the extra small. Finally, a great looking bag for guys, this bag is fantastic as it’s one of the best men’s shoulder bags available today. Don’t worry ladies, I had my girlfriend run around for a day with this and she absolutely loved it. She would have preferred a small or extra small but unfortunately we only had the medium. As far as the style of this bag goes, the Timbuk2 Classic messenger gets 5 out of 5 stars from me. This is because of its aesthetic appeal and many options when it comes to the colors and design. So the Timbuk2 seems to be one of the best classic messenger bags when it comes to style but how style isn’t everything. What’s probably more important is how it actually feels when you are using it. The good news is this bag is actually really comfortable. Let’s look at why that is. As you recall, I mentioned earlier in regards to style that you can adjust the bag to sit differently on your body. Well that is not just a style design but more importantly a comfort design. Riding a little too high for you or maybe it’s hanging a little low and bouncing off of you? 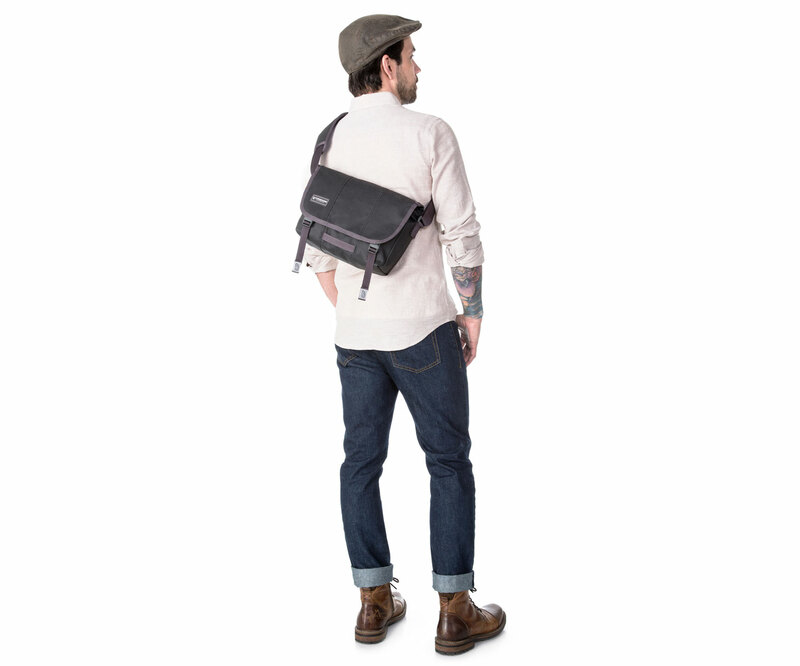 No worries the Timbuk2 Classic messenger comes with a shoulder strap that is fully adjustable. The shoulder strap also comes with a very comfortable mesh padding which helps airflow over your shoulder and helps cement this as a top classic messenger bag. Finally to round out this section, I need to mention that this bag is very light in weight. It feels like I have nothing even attached to my body when it is empty and when I do have stuff in my bag it still feels great. The comfort rating for this bag gets an impressive 5 out of 5 stars. Where do I start with describing how well this bag is made with regards to its durability? This is by far my favorite and best classic messenger bag I own when it comes to durability. One of my pet peeves with any piece of luggage or bags what have you is the zipper. If a product’s zipper is flimsy and can easily be ripped off, that is just a pain. Luckily this classic messenger bag comes with really good quality solid zippers. 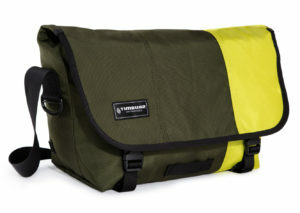 Timbuk2 developed this bag with a fabric called Cordura. It provides a rugged durable performance that’s used even for military gear. That’s how you know that it’s durable. Cordura can stand up to the elements and speaking of elements. This thing is a beast when it comes to stopping water. I’ve walked and ridden my bike around campus in the rain with this waterproof classic messenger bag for 10 to 20 minutes multiple times and this this is a champ. I was delightfully surprised that not a single drop of water got in the bag. I’ve had my laptop in there, a two inch notebook and text books for classes, and nothing was affected by the rain! This is without any cover over the bag. Another reason why this product from Timbuk2 gets my vote for best classic messenger bags is because it cleans so easily! I’ve dropped this thing in mud before, mud. Not dirt, not a puddle, actual mud. When I took it home, I simply removed the contents of my bag and proceeded to clean the bag out. Just some simple soap and water did the trick and it was like brand new. How’s that for durability? If that wasn’t enough for you, Timbuk2 went ahead and added a lifetime warranty to their classic messenger bag. Talk about some serious peace of mind! All things considered, I think it’s quite obvious that this bag gets 5 out of 5 stars for its durability. But how about the functionality of this bag? Will it also get top marks or are there some concerns? Let’s take a look! So far the Timbuk2 has been shaping up to be one of the best classic messenger bags I’ve ever had the pleasure of using. Unfortunately this is where the 5 star ratings stop. Timbuk2 has done a superb job so far and have actually done really well here as well but I do have a couple of gripes that I need to mention. Don’t get me wrong, I love the two front pockets on the outside of the main compartment under the flap. If you don’t know it has one zipper pocket good for storing your keys and then a napoleon pocket right behind that, which is great for putting your wallet or phone in there. 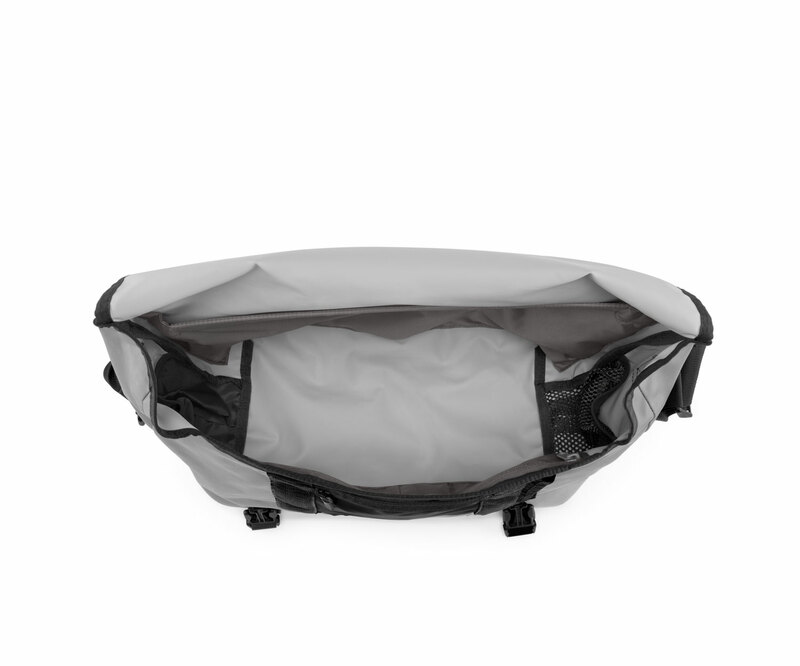 However, they tried to design the napoleon pocket for easy access and it can be a little difficult to get the pocket open and grab your items when the large flap is closed. An important note in regards to the napoleon pocket, it does not come with the extra small version. Another area of concern for me is the fact that the interior pockets are kind of small. It has a water bottle holder that has a tough time holding a bottle of water, and then 4 more pockets towards the front of the bag that are really small. Not so much an issue for myself but if you are left handed this bag only comes in a right handed version. 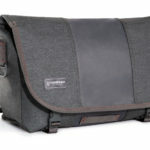 You can go directly to Timbuk2’s website and get a custom one sent to you; however this will obviously raise the price. And finally the last issue I had with, what’s actually been a top classic messenger bag so far, is the fact that it falls over. All. Of. The. Time. It’s not a huge issue and I know I’m being nitpicky but I felt like it needed to be mentioned. The bag just does not stand up right like the Timbuk2 Commute messenger bag. For the few things that I did not like however, they did a fantastic job with the rest of the bag. To start, I absolutely love the simple one handed functionality of the shoulder strap. I can easily adjust it on the go or while I’m on a bike with just one hand. The quick release feature works really well and is very smooth. It also works equally well when I need to tighten it. Once I have it tightened to my body, if I need a little more stability I can also connect the cross body strap that comes with this bag. 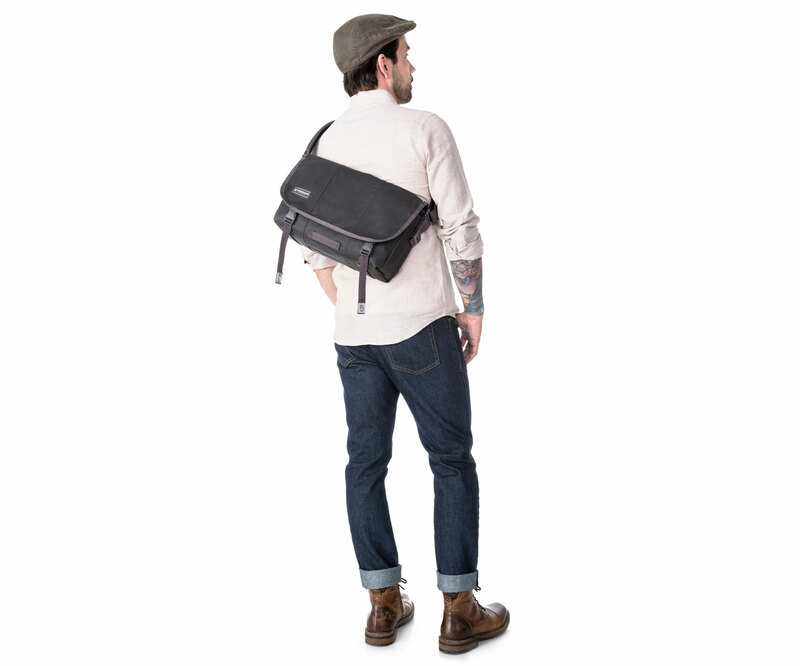 It provides more stability that any other classic messenger bag I have tried out. The space that the bag provides was perfect. I had the medium classic messenger bag and it easily fit my 15” Asus laptop, a two inch notebook and a couple of textbooks for class. It easily had some room left for cables, phone, wallet and any other smaller things I may want to take along with. A neat feature that I really liked that makes this a top classic messenger bag is the ability to reduce the overall size of the bag with the compression straps. If you don’t have anything in your bag or just a few items and it’s not full you can easily and quickly adjust the bag to compress to the size of the contents in the bag! Another great addition to this bag is the quick access grab handle on the back side of the bag. Makes it easy to grab it out of the car or carry it in a crowded area if you can’t get the strap over your shoulder. Common concerns with bags like these are what size laptops fit into them? The Timbuk2 Classic messenger bag can fit iPads in the extra small version, 13” laptops in the small, 15” laptops in the medium and 17” laptops in the large. A few minor issues that I have with the functionality lower the rating for this section a little bit but all in all it’s still really well done. The pros outweigh the cons for me here. Still a solid 4 out of 5 stars. 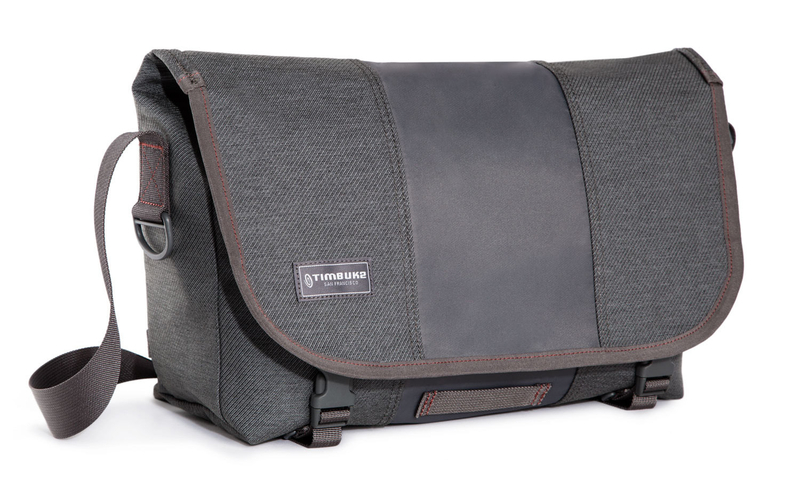 The Timbuk2 Classic Messenger Bag is by far one of the best options if you’re looking for one of the top classic messenger bags on the market. My minor gripes with some of the functionality are very small in comparison to the overall picture of this review. With its modest price range the Timbuk2 Classic is considered a mid-priced bag and for the quality that you get, you can’t get anything better. For anything cheaper, it won’t be nearly as well made and if you want something marginally better it’s going to costs you much more. 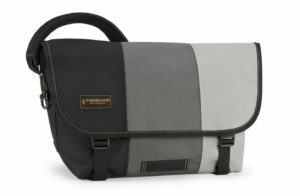 The Timbuk2 in my opinion is one of the best classic messenger bags that you can get, especially for the price. It has many options with regards to style and design to choose from, so there’s a little bit of something for everyone. Its design with the straps makes it an incredibly comfortable bag to wear when lugging around a full pack and the durability is really impressive as its waterproof capabilities really shine. Finally its functionality could do with some minor work but all in all not a bad set up. 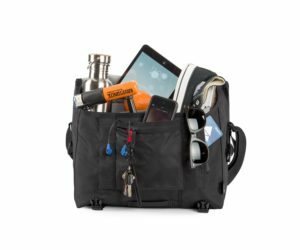 With all of this in mind, this Timbuk2 bag gets 4.5 stars and anyone seriously interested in a classic messenger bag should consider this model. If you want to check the price or you’re ready to pull the trigger then make sure to get the Timbuk2 Classic here!